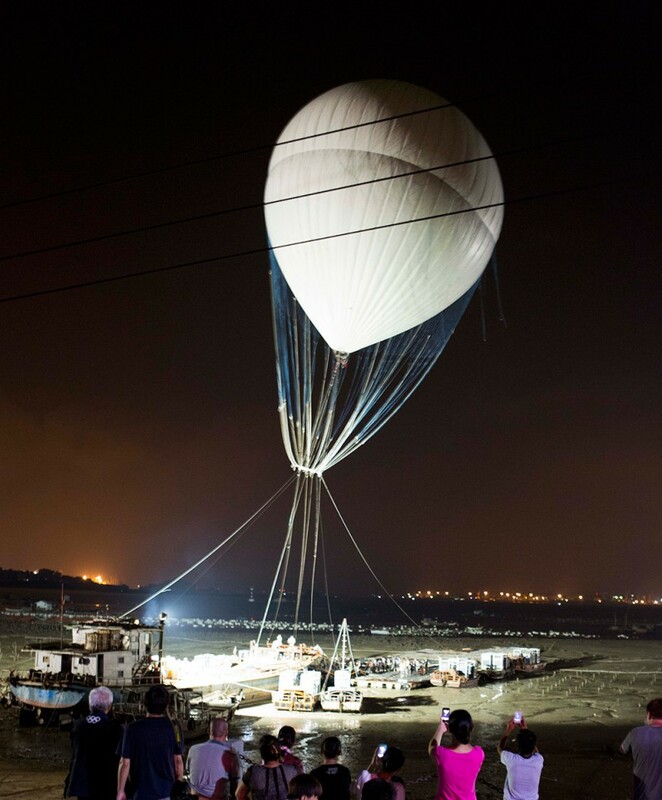 At early dawn of March 17th, 2015, a huge white balloon filled with 6,200 cubic meters of helium rose up slowly into the air above Huiyu Island Harbour, Quanzhou, China, which pulled a 500 meters long rope ladder coated with quick burning fuses and gold fireworks, when everything was set up and in place, Cai Guo-Qiang lit the fuse to show his pyrotechnic artwork titled Sky Ladder. 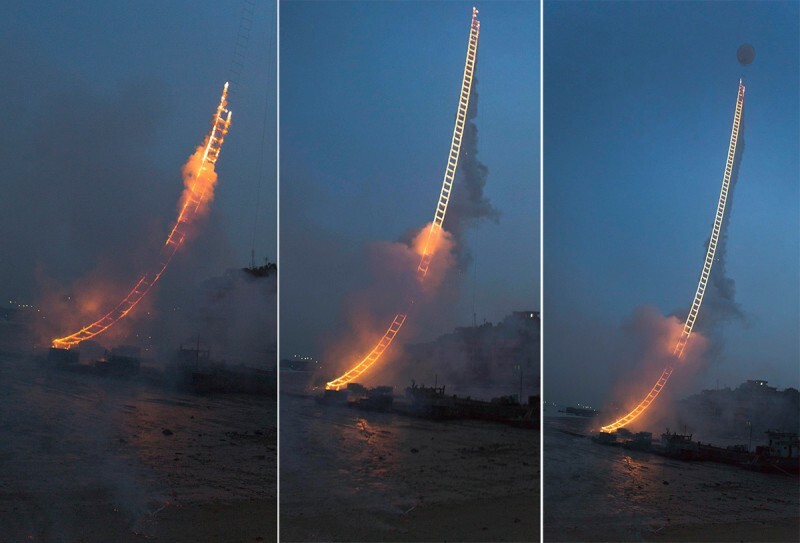 The art installation burned for about 2.5 minutes, this time is the fourth and final attempt of such performance. 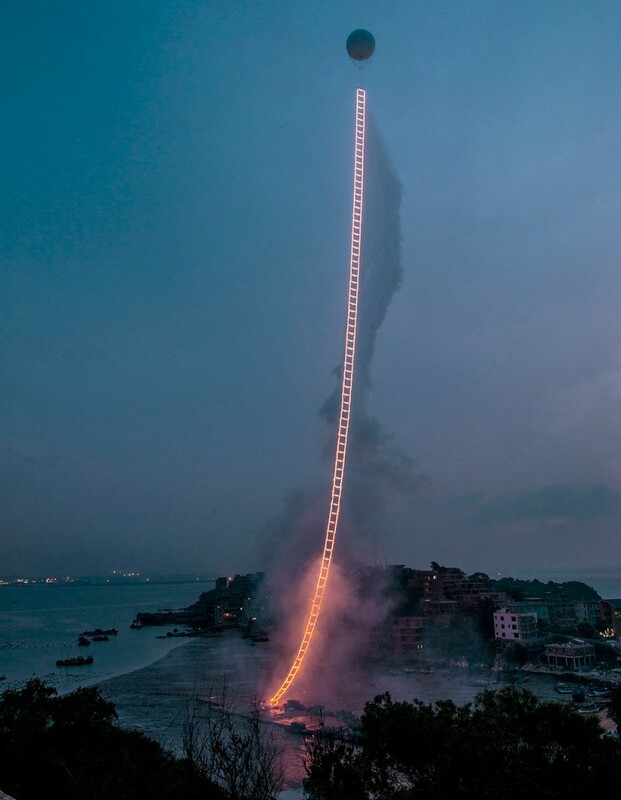 The artist had this idea when he’s just a child, and he tried Sky Ladder project at Bath in 1994, Shanghai in 2001 and Los Angeles in 2012. 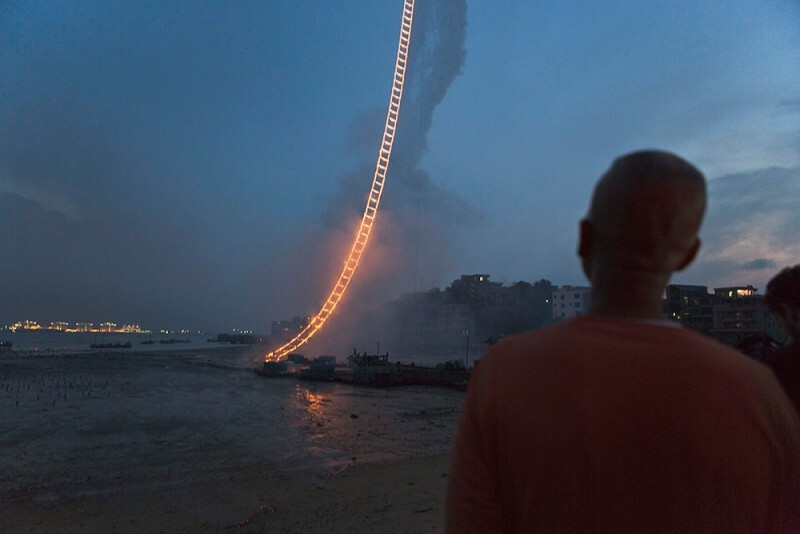 “Despite all life’s twists and turns, I have always been determined to realize it. 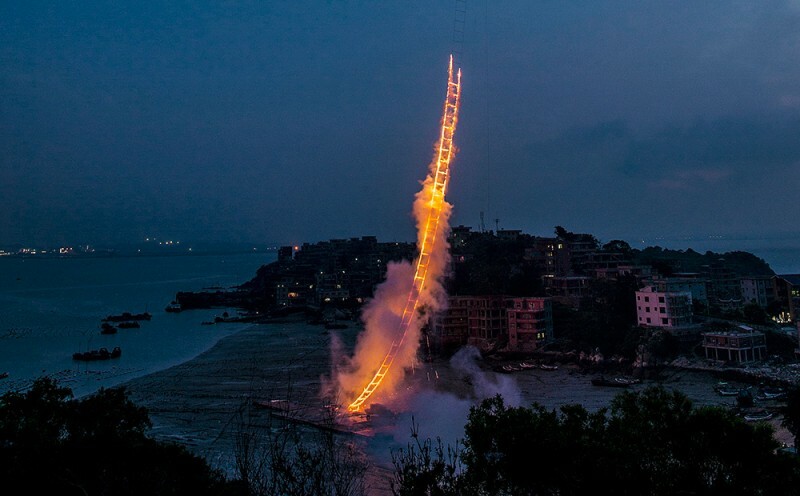 Sky Ladder today is tender, and touches my heart deeply: it carries affection for my hometown, my relatives and my friends.” Cai Guo­-Qiang said.